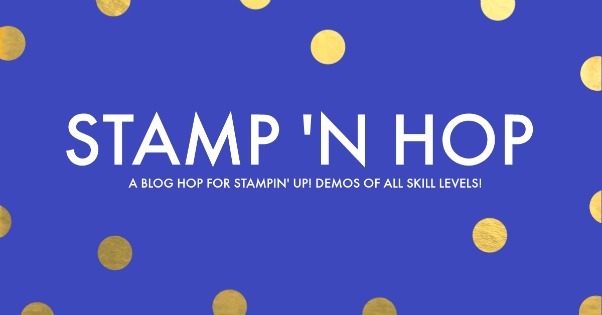 Hi and welcome to the Stamp 'N Hop blog hop.! My name is Sandra and you're joining me here, stamping with you from Norfolk, UK. 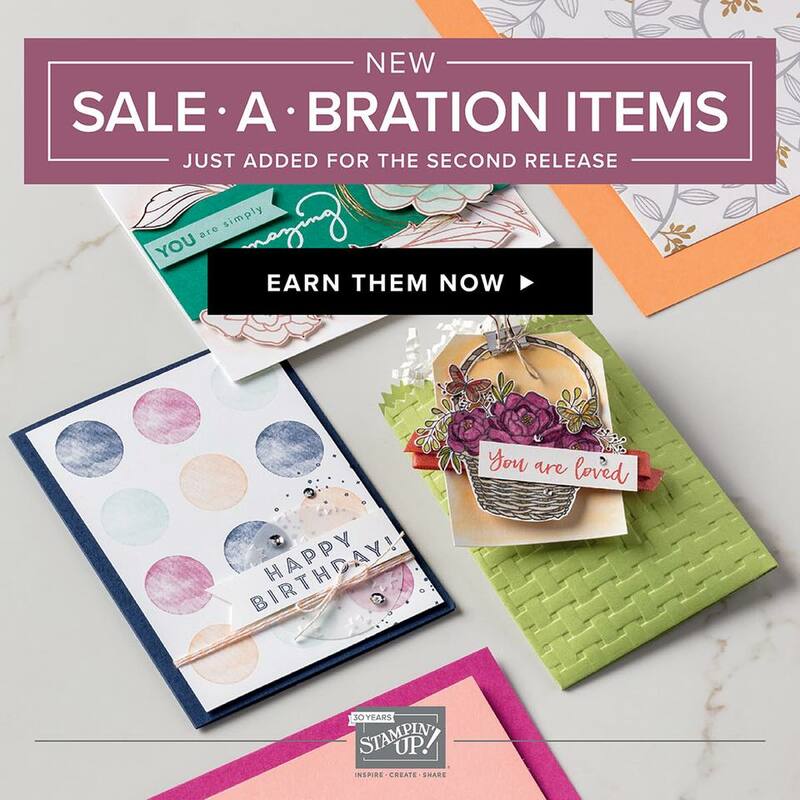 This month we are featuring the second release of Sale-A-Bration items which are available FREE until 31st March 2018 with purchase. 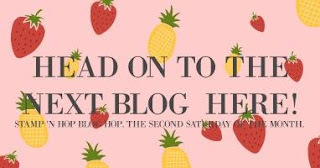 I hope you enjoy catching up with my post and continue visiting all the other blogs listed below, to see some wonderful projects create by my Stampin' Up! colleagues around the globe. 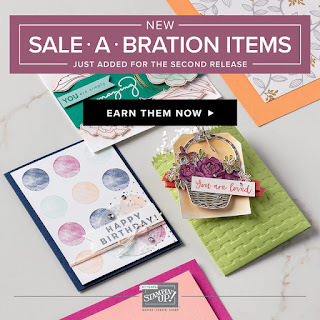 Today I have chosen to feature Eclectic Expressions #147335 (W) #147338 (C) from the 2nd release of Sale-A-Bration products. I love this colour combination of Daffodil Delight, Pear Pizzazz and Basic Black, which I have been working on for another 'hop' I'm participating in next weekend. Here are a few cards from my Spring Retreat which my ladies will be busy making this evening in my Studio. This card was stamped using the Stamp-A-Ma-Jig, stamping in Basic Black in the centre of the card. Next after the stamp was cleaned, the sentiment was stamped in Pear Pizzazz ink. both above and below the first one, then repeated again stamping in Daffodil Delight and again in Basic Black at the top and bottom. The right and left edges of the panel were stamped in Daffodil Delight and Pear Pizzazz randomly. 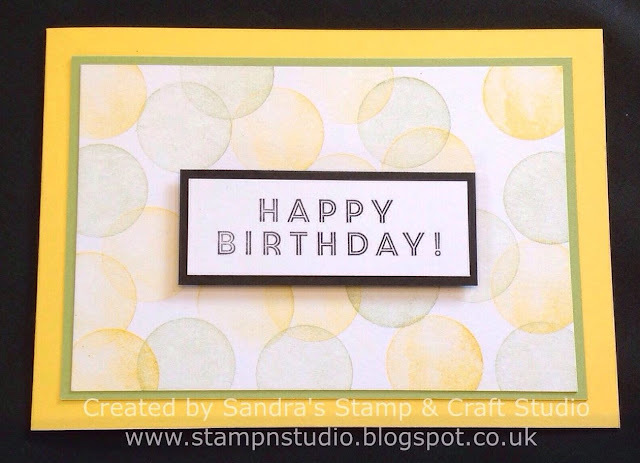 The panel on my next card (above) was stamped randomly in Daffodil Delight and Pear Pizzazz, using the round stamp in the set. A bit more repetitive stamping with the Stamp-A-Ma-Jig, this time in Pear Pizzazz over the entire panel. I found that starting at the bottom actually helped fit the design in. At the end there were a couple of gaps on the ends which were masked off with a Post-It Note, to ensure that only the relevant part was stamped in the available gap. I hope you have enjoyed hopping around with me today. Please now continue on to Melissa Tennison HERE and see the fabulous projects she has made. Thanks again for joining us today We love to read your comments, if you can spare a couple of minutes. 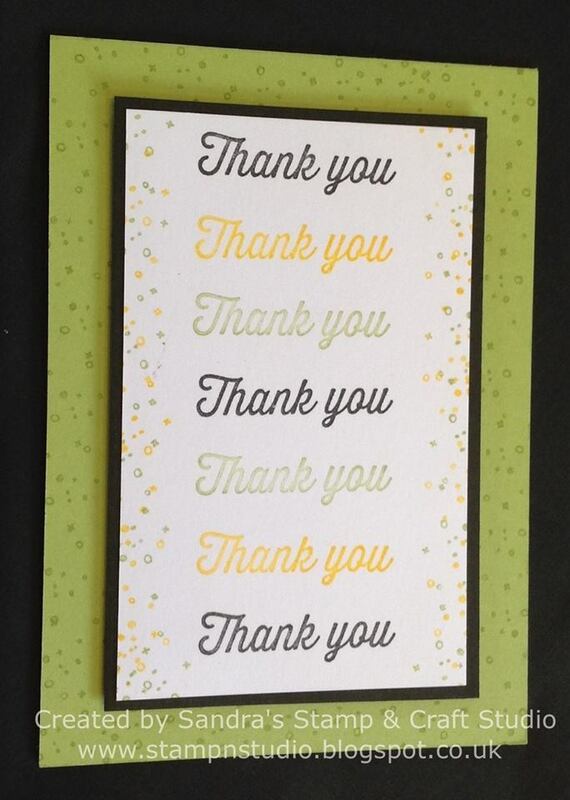 Please remember if you are in the UK and wish to order any Stampin' Up! supplies, please click on my Online Shop below. The wonderful Sale-A-Bration offers finish on 31st March so only a few weeks left. Your cards are gorgeous. Love them all. Hard to pick a favorite. Nice job! It is always nice to see multiple uses for one set. I recently got this set, but have yet to try it out. Thanks for your inspiration! I normally don’t use yellow but I love this choice of yellow! Great job!! 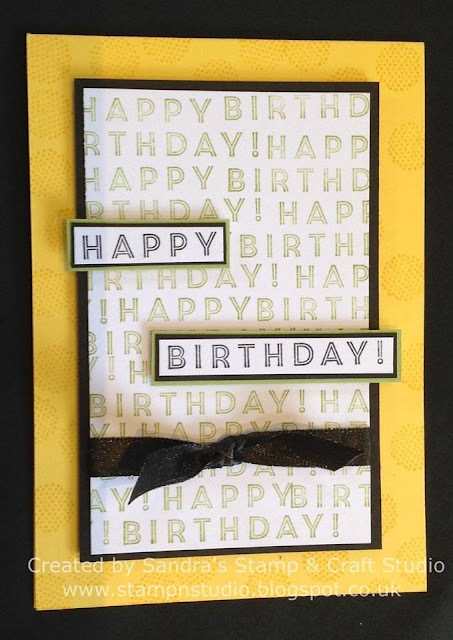 I love how you did the sentiment on the happy birthday card! I like how you lined up your stamps with precision. Nice job on all of your cards. I love your clean and simple cards and want to CASE them all! Great job Sandra! Thank you for sharing your wonderful cards! My favourite is the one with the circles in the background, somehow it remindes me of a sunny day in summer. All of these projects are truly beautiful. Thanks so much for sharing!! Thank you for these lovely projects, I like the repeating patterns! Your cards are wonderful! I love the different ways that you used the stamps from the set. And, I'm having a very hard time picking a favorite from the collection. Thanks so much for sharing! Cute! I really love the colors, they are so bright and springy! I absolutely LOVE my stamp-a-ma-jig! It's one of my most favorite tools, so I'm glad to see someone else loving on it too! :) Thank you so much for sharing your wonderful projects with us!! Lovely set of cards Sandra! I really love your soft colour palette, mixed with black. Great use of the sentiments for your cards Sandra. Would be hard to pick a favourite as they're all terrific.